Corona Renderer for ARCHICAD Alpha 2 released! We are pleased to announce that Corona Renderer for ARCHICAD Alpha 2 is released! We’ve been developing this version of Corona Renderer for a while; Alpha 1 was just for internal testing, but Alpha 2 is now ready for you to test! We need your testing and feedback to make Corona Renderer for ARCHICAD into everything you want it to be, and we appreciate any testing that you can do for us! Interactive Rendering takes the guesswork out of setting up materials, lighting and scene composition, and removes the need for test renders. The Corona VFB offers a wide range of post-processing effects without needing to use external software, with tone mapping, bloom and glare, vignetting, and more. Denoising, which can reduce render times by up to 70%. Corona Materials and Textures with a custom texture editor. 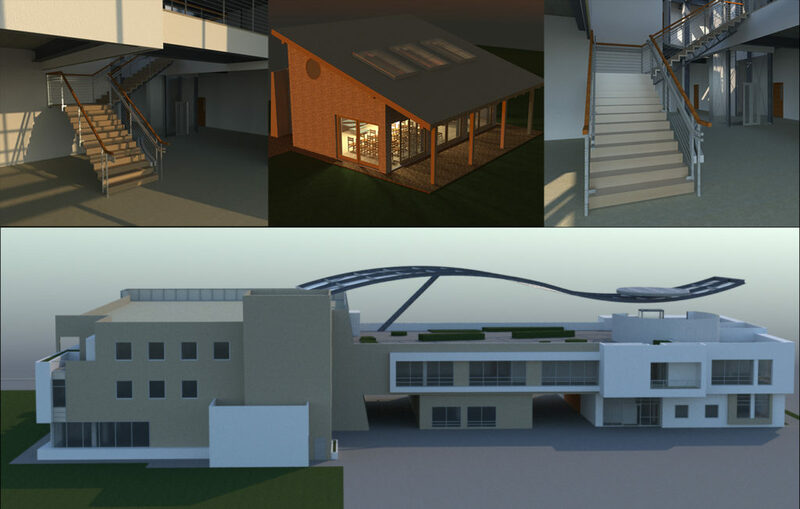 Support for native ARCHICAD geometry, lights, and materials. Read about the first public release of Corona Renderer for ARCHICAD! WHAT IS CORONA RENDERER ANYWAY? We put as much focus into making the software intuitive – with great results out of the box without having to change the defaults – as we do into the performance of the software itself. You can stay focused on being an artist or architect, and not have to become a technician manipulating scores of obscure parameters; we make it as close to “just press render” as it’s possible to get! Corona Renderer keeps everything physically plausible, from materials to lights, which means it gives natural, realistic lighting, delivered with great rendering performance. If you are wondering about jumping aboard now and growing to love the engine (as almost everyone who tries it does! ), we can assure you that keeping things affordable is one of our main aims for Corona Renderer – so when the commercial version comes out, it won’t break the bank whether you are a hobby user, a small company, or a large firm with 10s or 100s of artists. If you’ve used, seen or read about Corona Renderer for 3ds Max and Cinema 4D, these features will be familiar to you – however, if you’ve never heard of Corona Renderer before, below we give you a comprehensive introduction to how it will revolutionize your workflow! 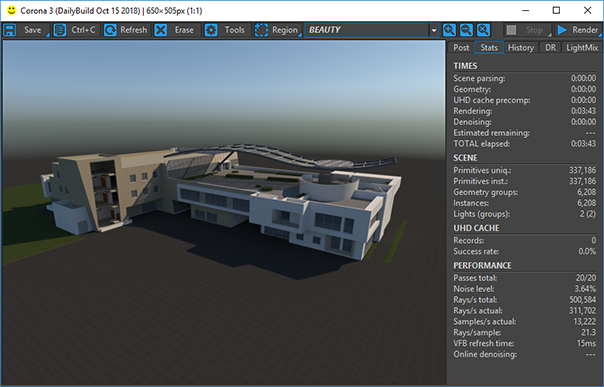 You no longer have to work on your materials just in some artificial preview window, but can see how they will look on the final model under the lighting conditions in the scene. You can adjust your lighting to find just the look you want for the scene. You can find the perfect camera angle to frame your shot. You can move your objects around to get the perfect composition. It’s simple to use, does a great job of preserving detail while removing noise, and as a result you can often save up to 50% to 70% off of your render time! The Corona VFB brings together many aspects of Corona Renderer into one convenient window. Saving your renders (both final, and results from Interactive Rendering). 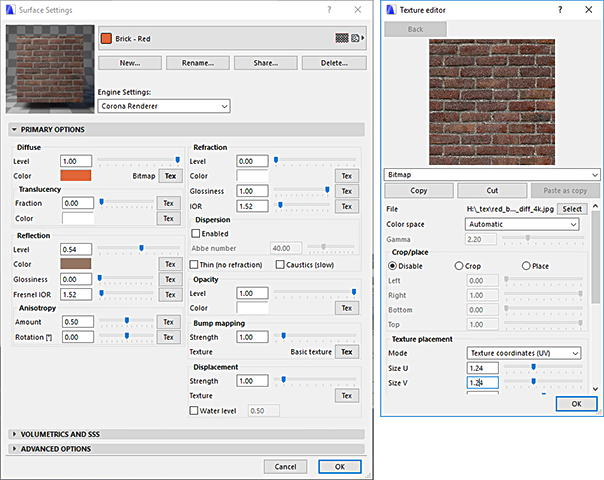 Corona Renderer aims to reduce or even remove the need to open up some external image editor after rendering, and lets you adjust and tweak the image right in the VFB. Create, adjust and save / load custom Curves. The Corona Material is a one-stop material that lets you create anything from stone to metal to glass to wood… whatever your project needs! 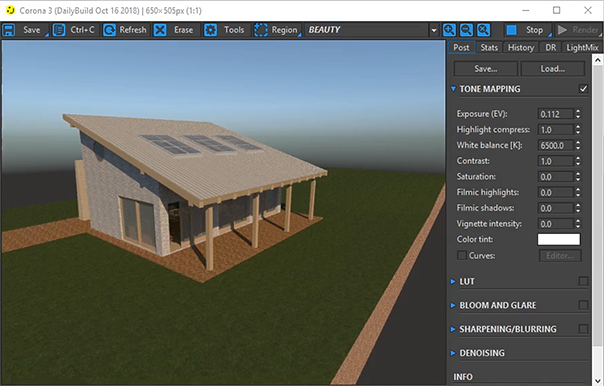 We even have our own custom Material and Texture editors, including a range of objects you can use in the preview, plus you can rotate the preview to check how the material looks from any angle. Already in Alpha 2, we have the Corona Sun (based on sunlight in ARCHICAD and fully configurable), and partial implementation of the Corona Light (at present, IES and other advanced features have not been implemented). The default sky can also be disabled, or overridden with a texture so that you can use HDRI images to light your scene. Common methods for mapping textures to the environment are implemented. All ARCHICAD geometry is supported, so will render as expected without having to make any adjustments, changes or concessions. Alpha 2 also has excellent support for native ARCHICAD lights, including non-physical “fakes” such as semi-transparent or missing shadows, no falloff, etc. You can think of the Corona Image Editor (CIE) as a standalone version of the Corona VFB – save any render to the .CXR format (Corona EXR), and you can adjust that image at any time without having to re-render or open ARCHICAD. This includes all the post-processing settings, using LightMix, and adjusting denoising. You can also load and save post-processing settings and LightMix settings to exchange them freely in either direction between the CIE and the VFB in ARCHICAD. Robust bump mapping and displacement. 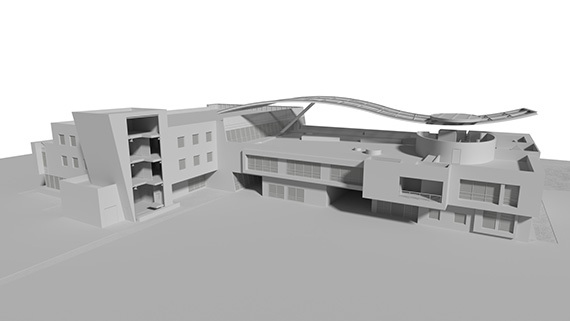 ARCHICAD’s Sun Studies and Fly-throughs are supported; motion blur is supported in Fly-throughs. Help is available in-program, thanks to descriptive pop-up tooltips. If (or at this point in development, more likely “when”!) you find a bug, or if you want to request a certain feature, or UI layout, or anything else, please visit the Corona Render for ARCHICAD boards on the forum. Now that you are excited after reading everything that is already implemented even at this early stage, here’s that download link again! 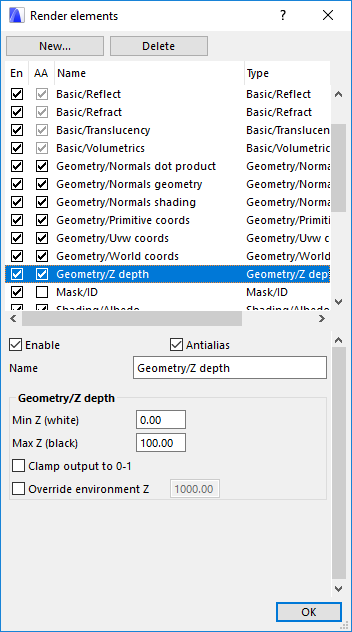 Just so you are familiar with the naming conventions, the next step will be work on daily builds for Corona Renderer for ARCHICAD Alpha 3. Once we have that stable and all the planned features for this next step are in place, there will be a final version of Corona Renderer for ARCHICAD Alpha 3. We’ll keep with Alphas, as many as we feel we need, until everything is nearing feature complete, and then move to Betas. As to which features we’ll implement next, a large part of that is up to you! Give us your feedback on what you most want to see implemented. Our current plans are to implement good proxies, import external 3D assets, and rework the Material and Texture Editor (probably using a nodal editor) – other than that though, we are looking to hear your suggestions! We’re very excited to be bringing Corona Renderer to a whole group of new users, and providing them with THE best rendering option for ARCHICAD! We’d like to thank you for signing up and providing us with your valuable time for testing and feedback – you’re helping shape the future of Corona Renderer! Jan Spacek, Tom Grimes, Jarda Křivánek and the Corona Team! So excited to see corona for archicad. Thank you guys! Wao Thanks for this amazing job! I’m looking forward to this, it will be a big hit and a game-changing & especially for interior design! Finally…such a good news. Thank you. I’ve done an online course to learn Corona for 3dsMax, and I loved it. I’ve been waiting to be able to use it in Archicad for a long time. Should just run the installer, no other actions necessary. If you have any problems with installation, please report in the bugs section of the forums (https://corona-renderer.com/forum/index.php?board=47) with as much detail as possible – what operating system, what version of ARCHICAD, was there an error message from the installer and if so what was it, did the installer run without problems but then you can’t find Corona inside ARCHICAD, and so on. Thanks! Thank you for this, time to start playing with Corona!!! Ноw i can rotate HDRi in bitmap map? Big Thanks for this. 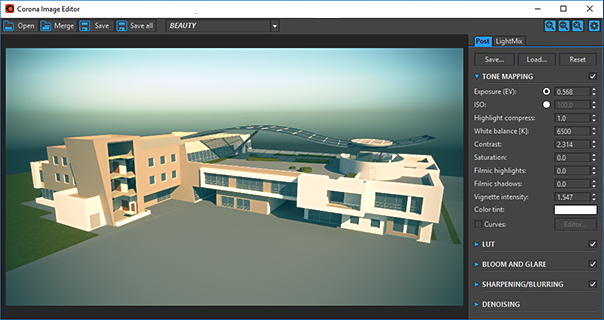 So this is a alpha version which is completely free to test with Archicad? Does it have any limitations in quality? Install and try Corona A2 with Archicad 22. Corona freeze very quickly, VPR window is not responsive (STOP button stopped to work) etc. Closing Corona is not solution, jam remain. Must restart Archicad. This is my first experience. But the software promises a lot and I can’t wait for further steps. Corona Renderer developers, that’s cool!! Thanks for the Corona for the Archicad! Hi! What is the problem with filling in the registration form for the forum? Would be great to have this report over there (as developers unfortunately can’t track reports on the blog). Let me know, and I am sure we can get you signed up! For all bug reports, please post over on the forums at https://corona-renderer.com/forum/index.php?board=47 – support and developers don’t directly monitor comments to the blog posts, sorry. Thanks for your understanding! Wonderful images! Is it possible to find a tutorial to understand how you can insert snow and light on trees or objects on stage to give the same effect as in this work? i want to know if corona has a plugin for mac ? Not at the moment, sorry (for Corona Renderer for ARCHICAD – there is Corona Renderer for Cinema 4D on the Mac, though). There are no plans to create a GPU version of Corona (and GPU is not always faster anyway 😉 See https://corona-renderer.com/features/the-cpu-advantage and https://corona-renderer.com/features/proudly-cpu-based). Thanks! you are really talented, making use of the technology around really helps a lot! Hola chicos, muchas gracias, acabe de publicar en mi pagina adjunta un portafolio de un proyecto todo renderizado con este plugin para archicad. Thank you much for this ! Where do I put a normal map in the texture editor? I can only find a bump channel. Thank you for the opportunity to explore this software!